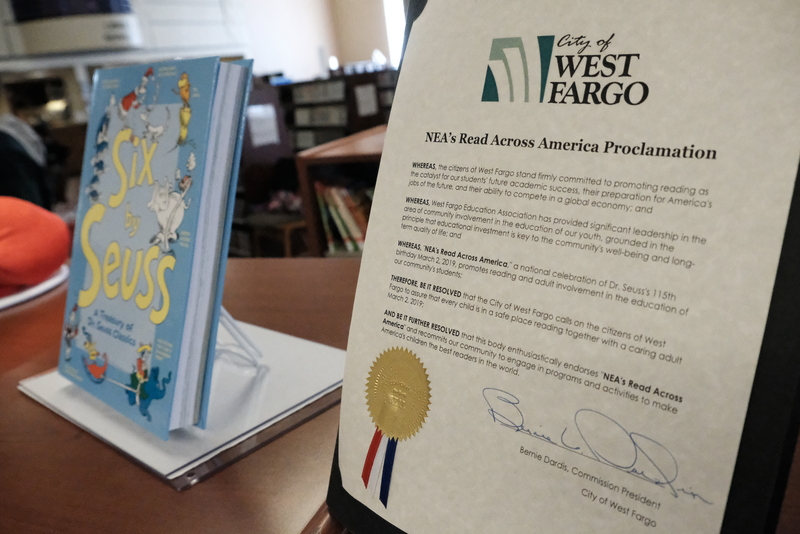 Each year, on March 2, the National Education Association and North Dakota United help to celebrate the birthday of legendary author Dr. Seuss and the power of reading! 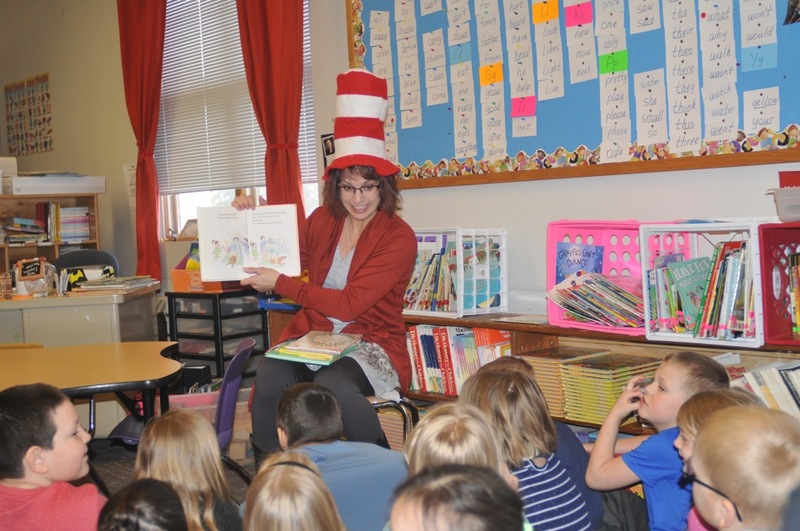 It’s Read Across America Day, and this year, we worked especially hard to spread the love of reading across every corner of our state. 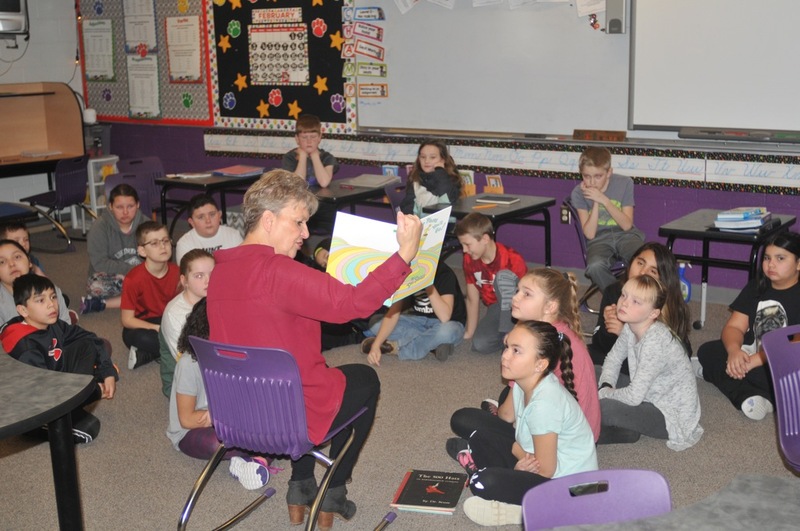 Through a grant from the NEA, we were able to share a copy of a very special book on the life of Sitting Bull, growing up as a child in the Lakota Sioux tribe, titled “A Boy Named Slow,” with every elementary school library in the state. 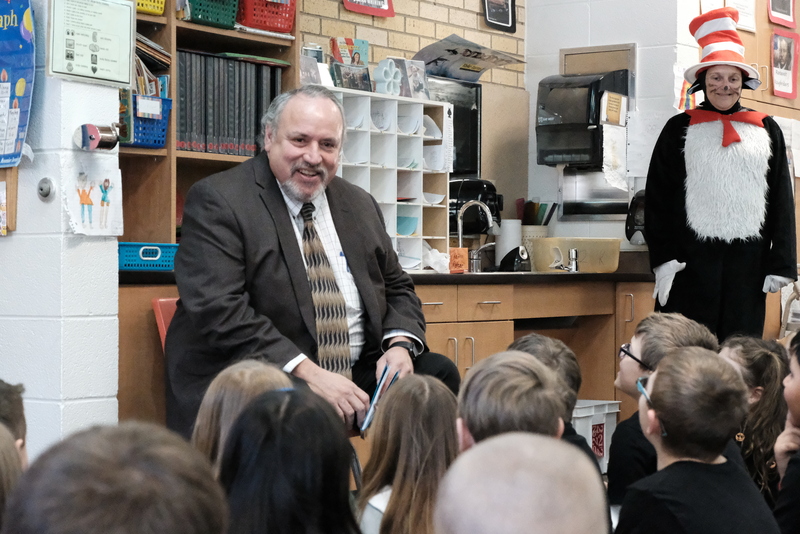 These books were sent in the mail in February, along with a letter from NDU President Nick Archuleta, urging schools to work with our local education associations of teachers and education support professionals to promote reading in the month of March. 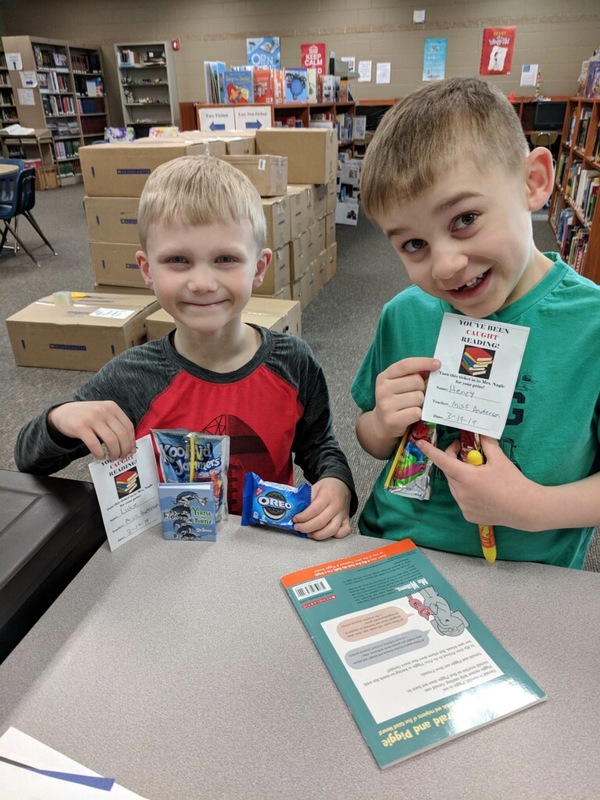 Jamestown Education Association members were able to enter to win one of two $25 gift cards by sharing what books they were had recently read, and then encouraging them to buy their next book. The list of books was then posted on JEA’s website. This has been a popular event and has involved members that are not usually active. 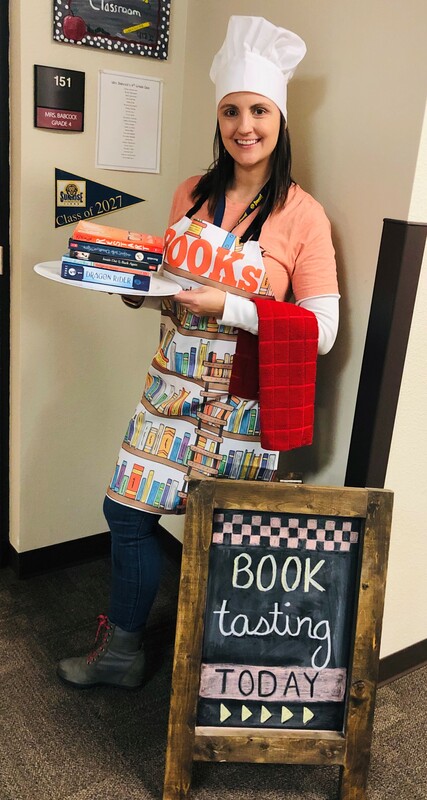 At the elementary school, we propose to purchase a read-aloud book, at the recommendation of the school librarian, for each grade level, building our classroom libraries, which can never be too big! 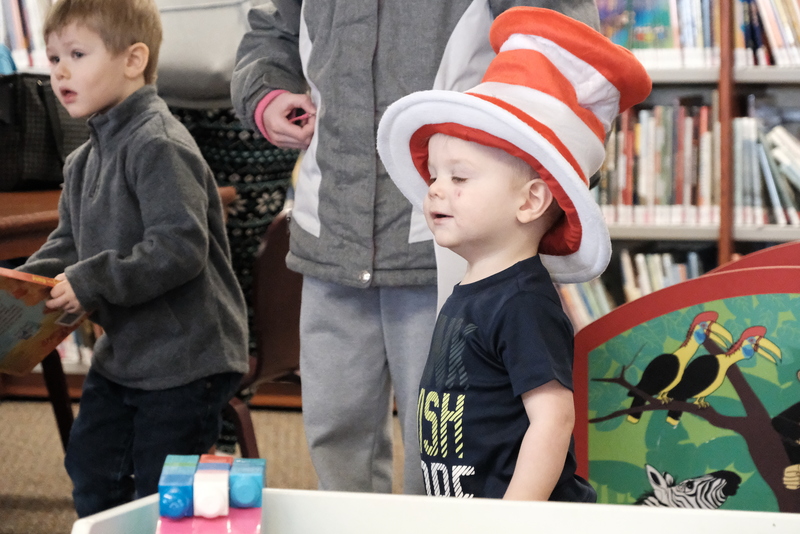 West Fargo Education Association hosted an event at the West Fargo Public Library, “Happy Birthday, Dr. Suess.” They provided birthday cake, supplies, Dr. Suess hats for the children and purchased books to giveaway to families at the event. 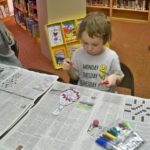 A craft was available for the children where they made their own bookmarks with supplies they purchase. 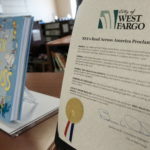 Lastly, the West Fargo mayor proclaimed March 2 as a day of reading in a West Fargo. 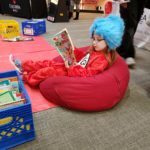 The Grand Forks Education Association (GFEA) used their grant to host and participate in the second annual Dr. Seuss Birthday Party/Read Across America event, held at the Columbia Mall in Grand Forks. GFEA sponsored a ring-toss game. Students threw three plastic rings at six cones in this game. 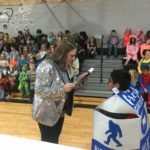 Depending on which cone the students were able to place a ring around, they received a prize. The prize options are a Dr. Seuss pencil, a Dr. Seuss bookmark, or a new Scholastic book. 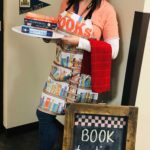 The book options range from picture books suitable for toddlers and pre-schoolers to easy reader chapter books (such as “Amelia Bedelia” and “Junie B. Jones”) to the popular “I Survive” chapter book series for upper elementary and middle school students. 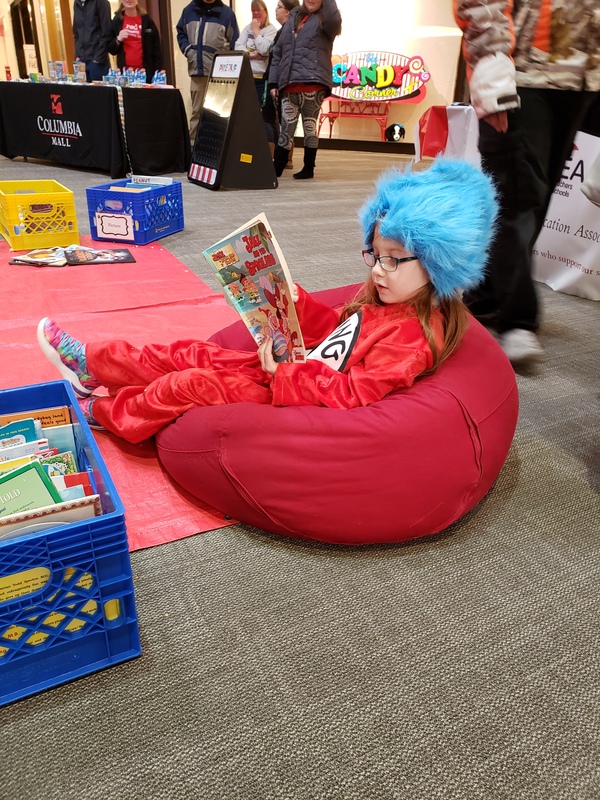 All students who visited the GFEA ring toss booth received a Dr. Seuss/Read Across America sticker. 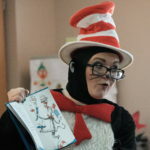 In addition, GFEA teacher members took turns dressing up in a Cat In the Hat costume, and taking pictures with students and their families and reading to the youth. 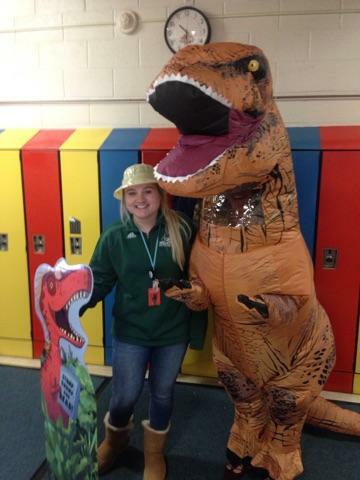 In Center- Stanton, we have designated the month of March as a Reading is DINO-MITE month. 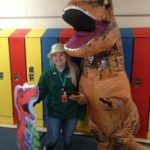 A committee created a calendar for the month with various dinosaur themed activities and reading events. 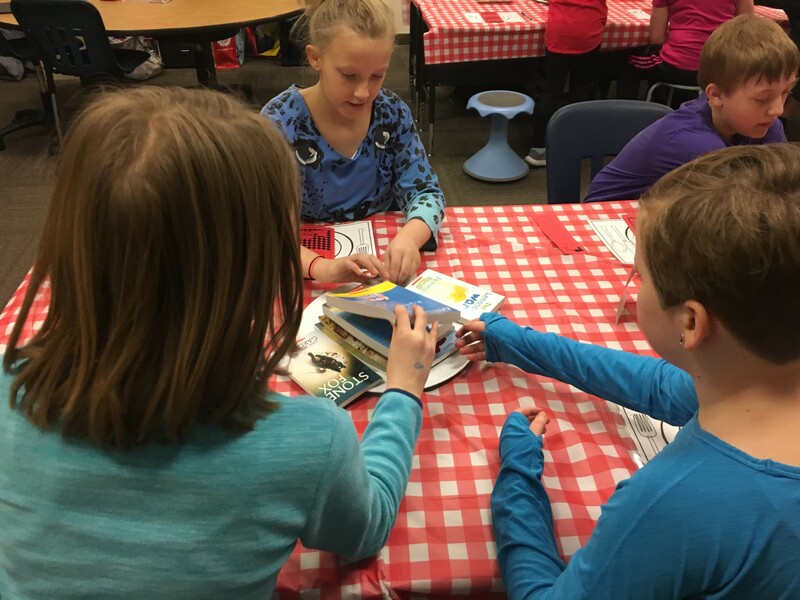 This begins with each classroom setting reading goals for the month, includes buddy reading, a breakfast with books event, a Stomp, Chomp, and Read Book Fair, students creating their own prehistoric pals in the library, and many more exciting activities throughout the month. Books were also awarded to students at the end of the month. 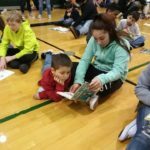 The more books we can get into the hands of students, the more we can promote the love of reading! 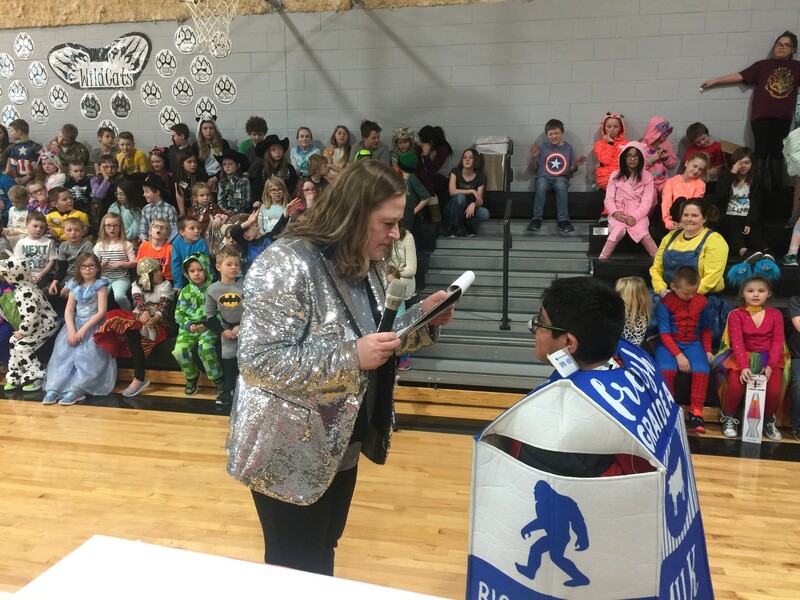 On Friday, March 1, a celebration was held for those students who had accomplished their reading goals for the month. 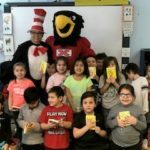 This was held in conjunction with Read Across America activities in schools throughout the state and country. 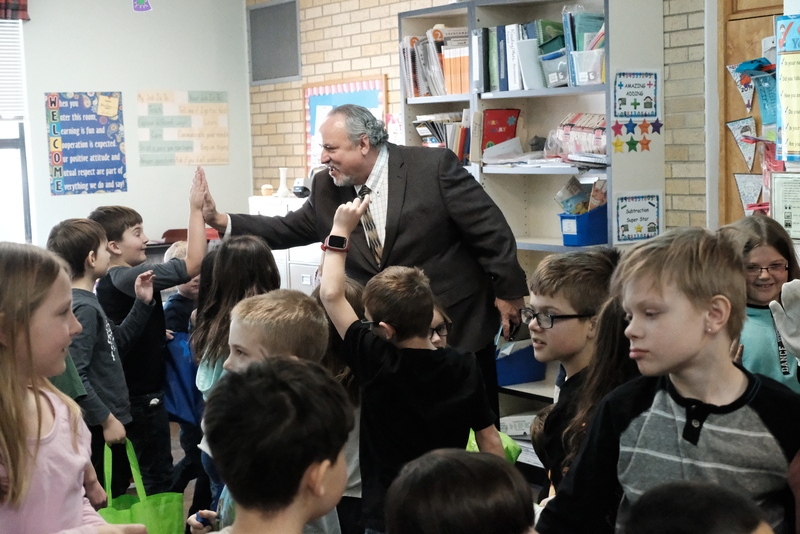 Elementary students traveled to three different stations in small groups to take part in activities prepared and presented by Starkweather High School students. Superhero minute-to-win-it type games were played at one station. The Hulk balloon challenge was a favorite there. 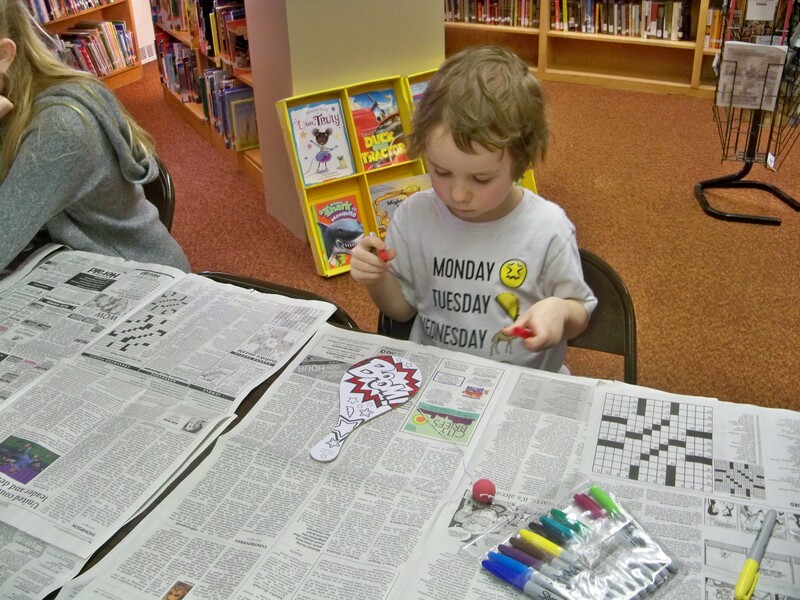 At another station, kids completed a superhero craft as they listened to some of Dr. Seuss’s best stories read aloud. SuperHero Sphero challenge was the third station. Kids worked in teams to use the Sphero balls to capture their “villains” in the least amount of time. 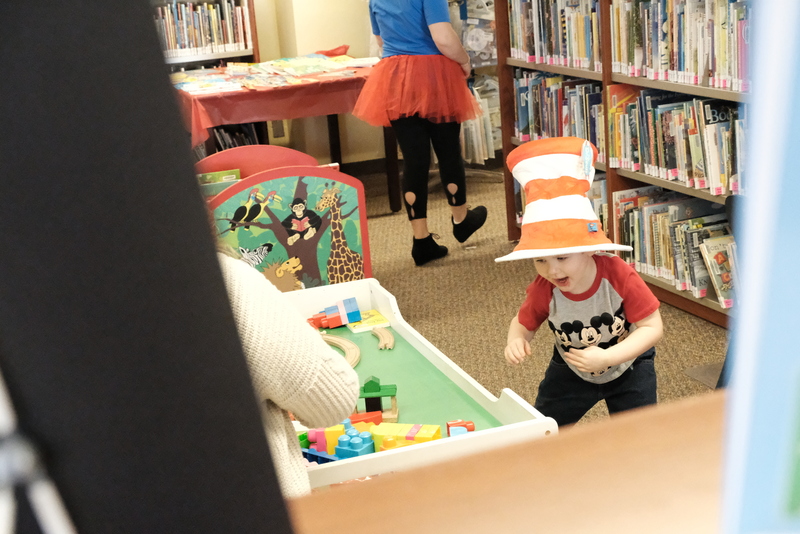 The afternoon’s celebration ended with ice cream floats for all participants along with handing out Dr. Seuss door prizes and bookmarks. 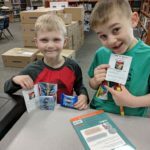 Each student who completed the reading activities also earned a free book of their choice. 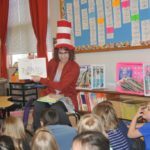 Read Across America Day was celebrated at the Rolla School on Thursday, Feb. 28. 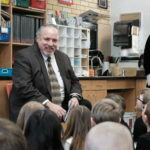 Some of the things that took place included community members coming in to read to our elementary students. 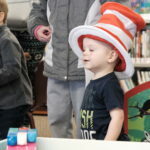 Every elementary classroom had someone reading for 20-30 minutes from various Dr. Seuss books; some of the readers even donned a Dr. Seuss hat. 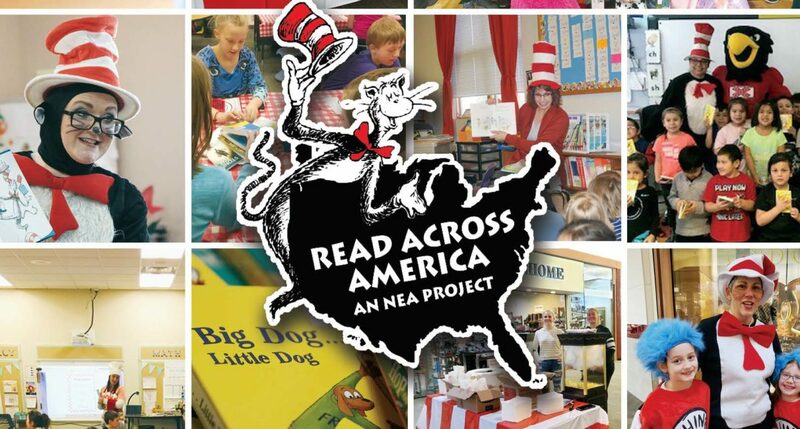 Mayor John Hardy, School Board President Will Turner and Rolla Education Association President Brenda Seehafer all signed a proclamation, proclaiming Feb. 28 as the day for Rolla to celebrate “NEA’s Read Across America” event. Our seniors were each presented with the graduation keepsake edition of the book “Oh the Places You’ll Go” written by Dr. Seuss. 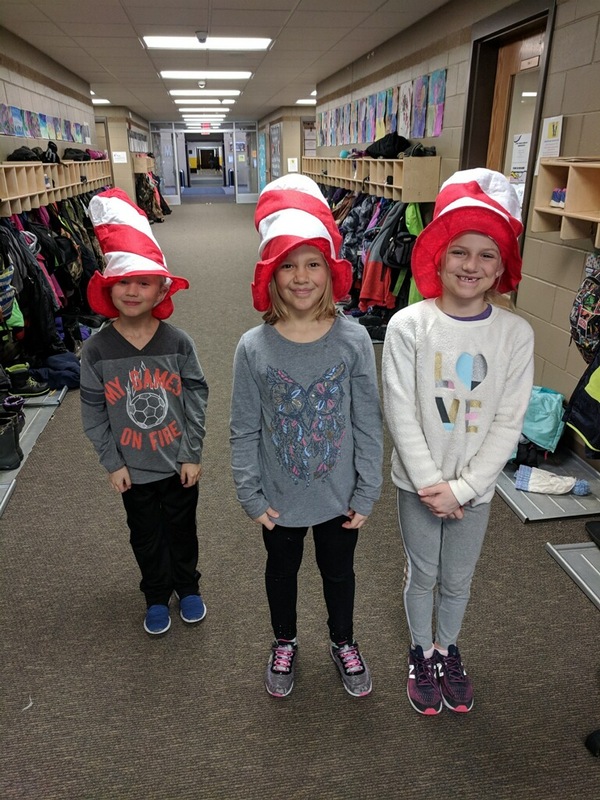 Other funds were used to purchase 20-25 Dr. Seuss books for the school library, and Dr. Seuss reading posters to promote the importance of reading every day and everywhere. 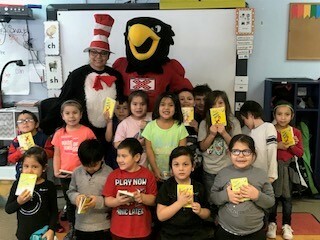 St. John Woodchucks celebrated Dr. Seuss’s birthday to start off our Read Across America Reading Month! 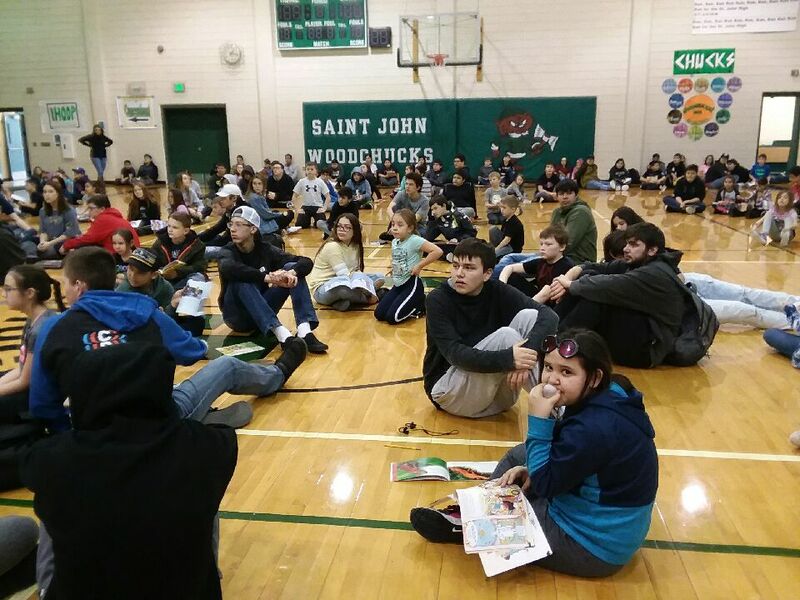 All of the Woodchucks gathered in the gym, paired up – younger/older readers – to share some good books. That morning, our super awesome Lunch Lady and CREW made us Green Eggs and Ham. In the afternoon, we shared chocolate-dipped Oreos. It was a full day of “Kick-Off” fun. 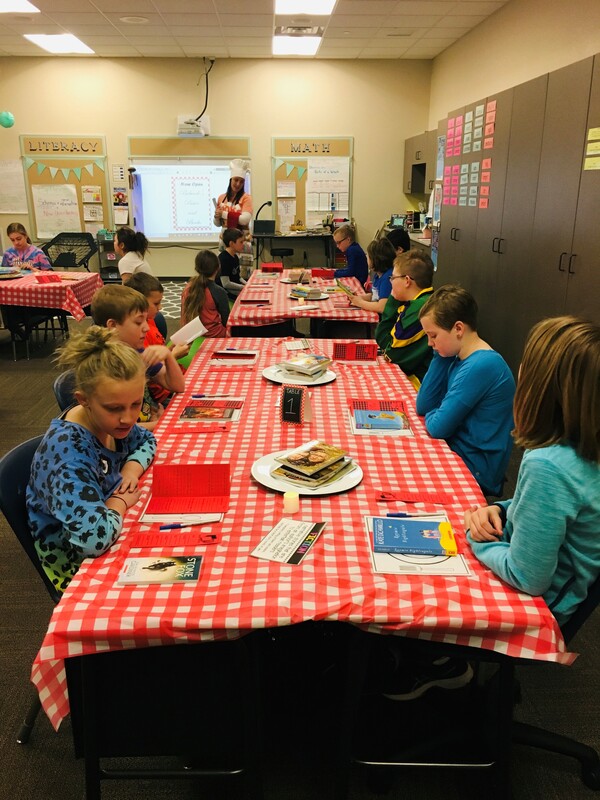 Books are also being purchased for each of our students, thanks to the North Dakota United RAA grant! 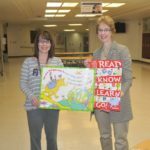 Turtle Lake Mercer School would like to boost book interest by awarding raffle tickets to students “caught” reading. 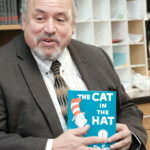 The raffle tickets could be used for lunch with the principal, a Cat in the Hat hat, books, and prizes. 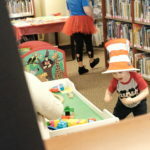 Some kids long to sneak away and escape inside a book while others need encouragement. TLM School would like to acknowledge all readers with this event. Theodore Jamerson Elementary School (TJES) was honored to receive a grant from NDU and NEA. This money was used to purchase books for students to take home to enjoy. 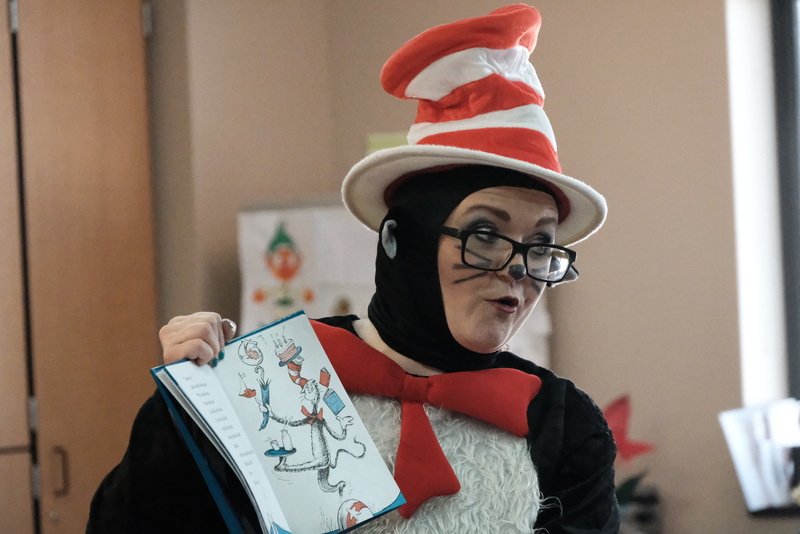 Our principal dressed up as The Cat in the Hat to deliver books to each classroom. The United Tribes Technical College (UTTC) Thunderbird mascot, Thunder, joined in the fun also. We had “Poem in your Pocket’ Day, Crazy Sock Day, Wacky, Backwards Day and Sports Day, to name a few. The staff and students were very appreciative of the books! This is our first year as a K-12 facility. 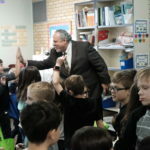 We closed the two elementary buildings in two separate towns and brought all of the children under one roof in Tower City. 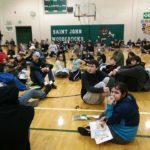 It has been very exciting using the high school students as mentors for the elementary students in a variety of different settings. 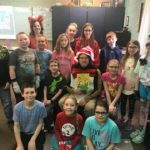 With Read Across America Day, we utilized the high school students to encourage and promote reading with the younger students. 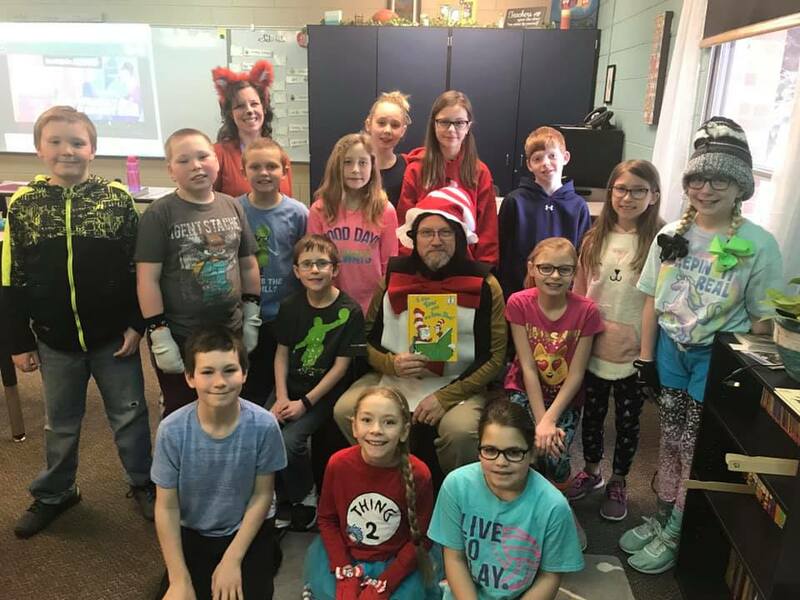 There was a birthday celebration held, with decorations, cupcakes and juice, and students dressed as their favorite Dr. Seuss character. 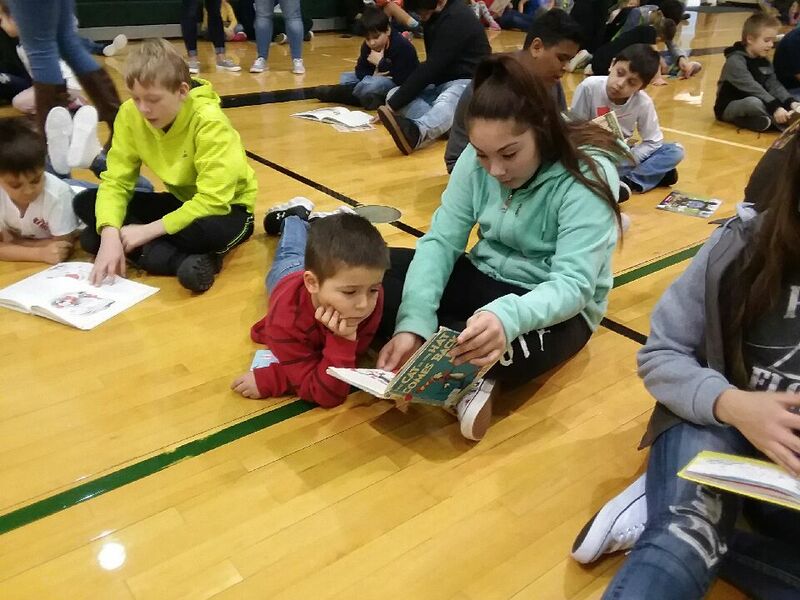 High school students came to the elementary wing to read a variety of books to the elementary students. 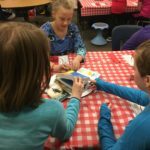 Students voted on their favorite Dr. Seuss books, and were given magnetic bookmarks as a prize for voting. 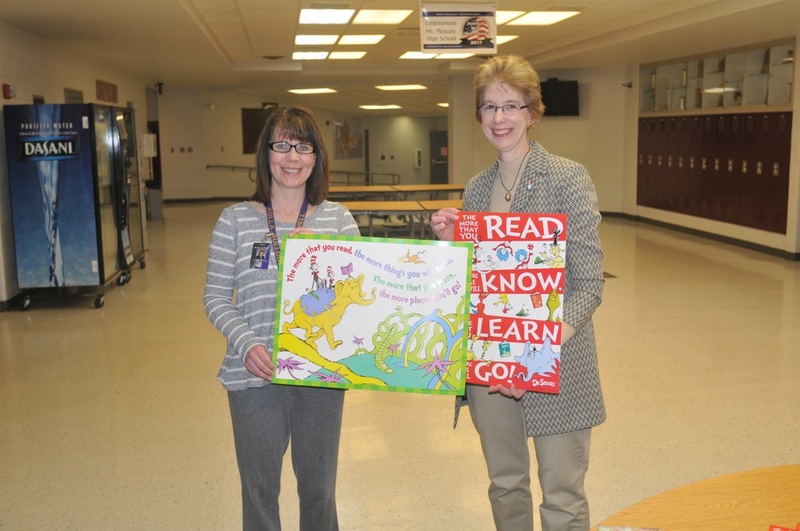 Kenmare Elementary School invited all students and families to come to family reading night in March. 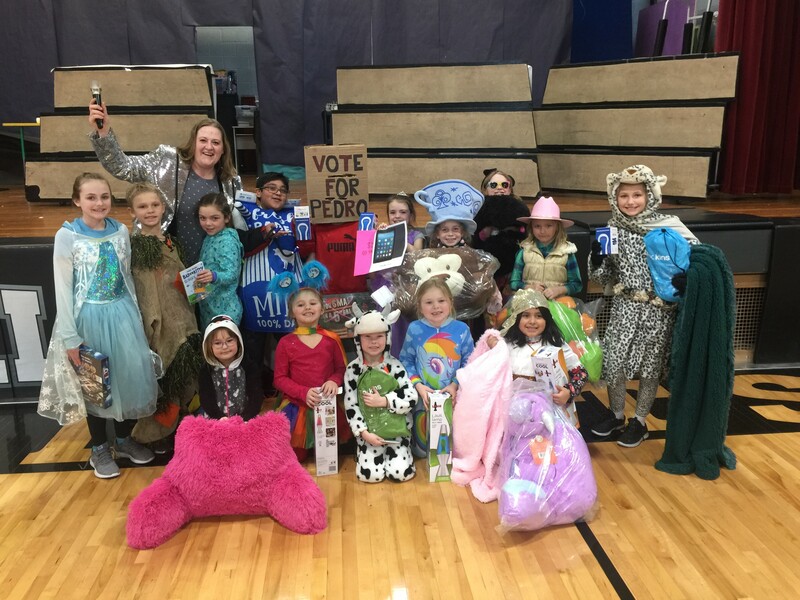 Family reading night was centered around folktales from around the world! 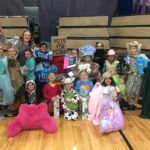 Each classroom in our school hosted a festive folktale-themed stop where families got stamped on their passport for the country they have visited. 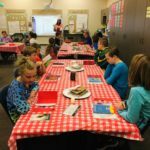 We are incorporating different cultures in the classroom and also including a buffet of foods from each culture. Classroom teachers and students prepared for the reading night by decorating and dressing up. 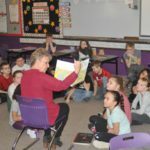 The Mandan Education Association worked directly with the staff of North Dakota United to host two reading events in classrooms on Tuesday, March 5. 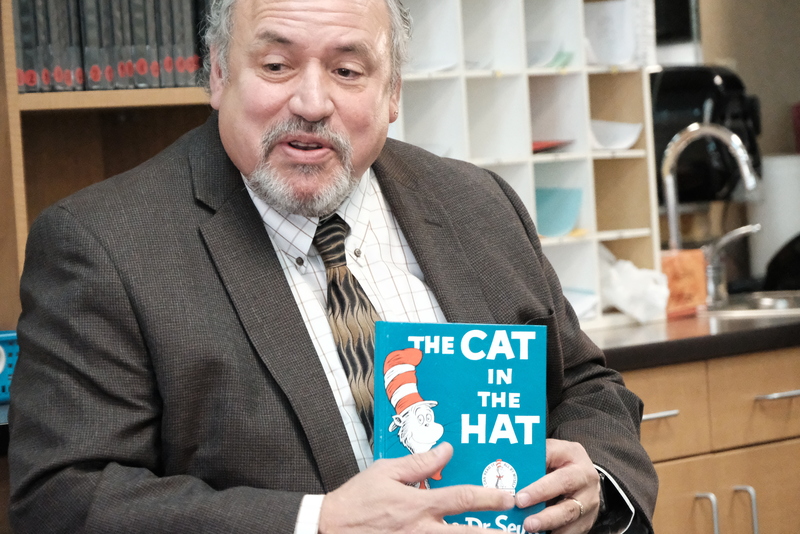 NDU President Nick Archuleta read to students in Annette Kary’s classroom at Theodore Roosevelt Elementary in the morning, and NDU organizer Caitlin McDonald played the Cat in the Hat, herself, to read this classic children’s story to third-graders in Lindsay Wolfe’s class at Red Trail Elementary. 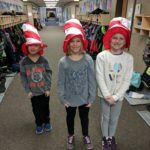 All of the students received fun prize bags, filled with stickers, bookmarks, their own copies of “Cat in the Hat” to take home and their own Cat in the Hat hats to wear for themselves!